Peter Dutton has apologised to his Labor opponent Ali France for suggesting she was using her disability as an “excuse” for not living in the Dickson electorate. 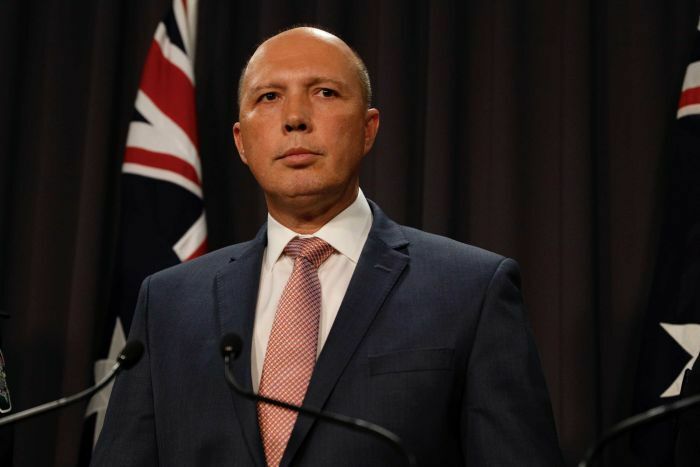 Prime Minister Scott Morrison yesterday defended Mr Dutton, saying he did not believe the Home Affairs Minister was using her disability as a basis of a political attack. But Mr Dutton apologised on Twitter this afternoon. “My argument with the Labor candidate is about how our respective policies would affect the people of Dixon,” he wrote. Ms France, Labor’s candidate for the south-east Queensland seat of Dickson, had her left leg amputated above her knee after a car crashed into her at a shopping centre in 2011. Mr Dutton yesterday told The Australian there were plenty of people living with a disability in the electorate. But chief executive of disability service group Community Connections Dougie Herd said Mr Dutton’s comments were insensitive and offensive. “I am completely appalled and I simply cannot imagine [in] what universe Peter Dutton thinks an amputee would use her disability to get an advantage out of life,” he said.